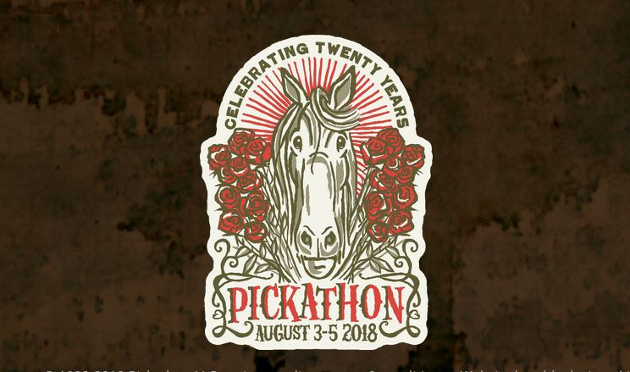 The Pickathon Festival just outside of Portland, Oregon has just announced the initial lineup for their 20th Anniversary season, and like most every year, numerous important luminaries from the effort to help save country music have made the cut. Out of the 56 names announced already, the list includes Saving Country Music 2017 Album of the Year nominee Zephaniah OHora, Canadian country and folk throwback Colter Wall, traditional country revivalist Charley Crockett, recent Third Man Records signee Joshua Hedley, Johnny Cash reincarnation Paul Cauthen, Austin dynamo Shinyribs, bluegrass maestro Sierra Hull, Southern California folk marvels Mapache, Caleb Klauder and Reeb Willms, and many more. Established in 1998, Pickathon is an independent, all-ages & family-friendly music festival. 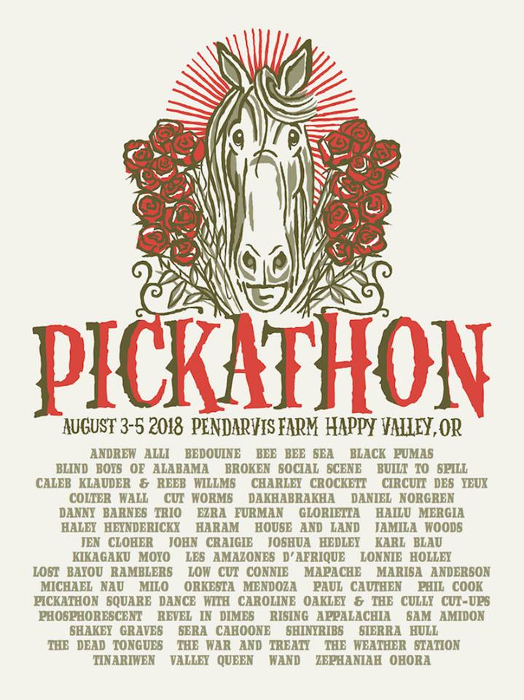 Unlike other festivals, Pickathon features multiple performances from artists in a variety of settings, from stages out in the woods, to intimate performances in hobby barns, to the big main stage in a field lined by Douglas Firs. Along with the music comes leadership in the festival space for curating every aspect of the festival-going experience, and a zero-waste site model that is like a shining city on a hill for how to manage the impact of large events. “In an age of uniform commercial festivals, we are humbled that against all odds, an experience-and discovery-oriented music festival like Pickathon is not only celebrating a 20-year anniversary but is also recognized as one of the most unique and diverse in the country,” says Pickathon founding partner, Zale Schoenborn. There are bigger festivals and flashier headliners during the summer festival season, but few gatherings can boast the ability to not just support worthy music from a wide swath of the American audio palette, but truly launch major careers for artists that go on to have an international impact like Pickathon has with artists such as Sturgill Simpson, The Avett Brothers, and Lake Street Dive just to name a few. I know only three of the acts on that list. Shame on me. Does any one have any recommendations based for me? All the names that I bolded in the introduction are the ones I would check out first. All of them have been featured on Saving Country Music, and most have been featured numerous times. Just do a search (in the top right) and you can find reviews and samples of their music. Take into account Pickathon is not a strictly country festival. They have a lot of music from the roots and rock world. I’d also pay special attention to Caleb Klauder. His a modern legend that barely anybody beyond the Pacific Northwest knows about. That’s a solid lineup with acts from all kinds of backgrounds. Low Cut Connie & Shakey Graves are both exceptional live acts and very rootsy. In a much different vein, the latest albums from Jamila Woods & Ezra Furman are also strong and maybe up your alley. And, damn, Shinyribs! Plus, people in Portland are just plain nice. Sounds like a good time. I’ll second Trigger’s recommendation of Caleb Klauder. I saw him two years ago in Calgary without ever hearing his music before and now I’m hooked! I had the pleasure of seeing Paul Cauthen live in Portland when he was touring with Cody Jinks. “The reincanate of Jonny Cash” is a pretty accurate description. His performance was so good! Caleb Klauder and Reeb Willms and their various incarnations of Foghorn Stringband, Kaleb Clauder Band, and others, are excellent musicians, and a lot of their performances can be seen on YouTube, including many videos from past appearances in these various forms at previous Pickathon festivals as well as several other events. They are well worth checking out, and if you’re close to the festival, definitely make a point to see them. Like others, I am not familiar with most of the listed artists but I am sure they are each pretty good in their own right.